With over 45 years of experience, Nancy, a gifted intuitive, brings her expertise to life coaching of a different sort. She is the founder of “Alpha Healing”; a unique method that heals the fear and clears the blocks that inhibit happiness, success and potential. Nancy is a respected speaker, lecturer, healer, and guide whose credits run the gamut of TV, radio and global workshops and seminars. 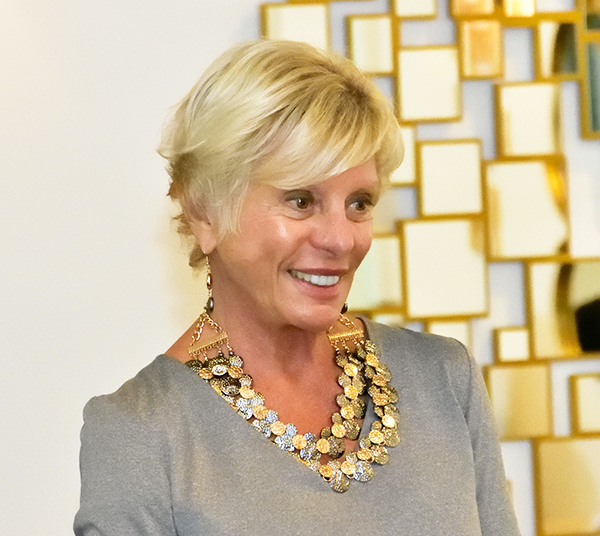 She is on the Advisory Board of the Foundation for Women’s Cultural and Economic Literacy and is Co-Chair of the Happiness Club of Palm Beach. Nancy was passionately involved with the Metaphysical. She has always “known” that this was one of many lifetimes, and that the traditional religions, and avenues of higher education were incomplete. Having received her degree in Psychology, Nancy, quickly discovered that “therapy” gave no validity to intuition. The logical study of consciousness seemed to fall short and she searched for a more integrated approach of how the mind, body, and soul where intertwined and functioned together. By the time Nancy was 19, she became a member of the Theosophical Society studying all of the different global religions and philosophies always seeking for the common thread of truth. She also studied under different and well-known Eastern philosophical and spiritual leaders who were engaged in teaching a “Theta Brain Wave” approach to consciousness, which she found superior to the conventional Beta based teachings in the schools in the United States in the 60’s and 70’s. In the next decade Nancy continued her existing studies and focused on the connection between eastern and western Philosophy and the blend of Metaphysics in Christianity. For the next 20 years, thereafter, Nancy lived in the Far East, the Caribbean, and Africa working with the US State Department as the Community Liaison Officer, and with the US Army as the Command Family Advisor. It was during this crucial and pivotal time in her life that Nancy decided to develop her own approach to coaching and guiding. She realized that the fashionable era of having a “therapist” in the 80’s was quickly dissipating and people were looking to the metaphysical realm for answers; psychics, clairvoyants, astrologers, Tarot readers etc. She fathomed her own approach which was to utilize her uncanny intuitive skill, working with a deep level of awareness (Alpha Brain Waves) in discovering purpose, increasing productivity, and removing mental and emotional blocks for those who came to her for help. Thus, Alpha Healing was founded and since then Nancy has appeared on TV and radio around the globe in addition to conducting many seminars and workshops using Alpha Healing to change existing thought patterns to create the life of one’s dreams.